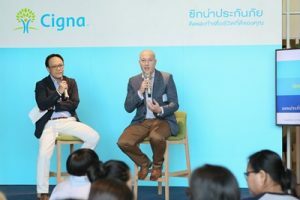 Cigna Thailand, Cigna Corporation’s (NYSE: CI) business in Thailand, has launched Group Health Benefits in Thailand under the name, CIGNA SPECTRUM, a comprehensive group health insurance program for the globally mobile, also known as expats and local Thai executives. 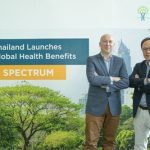 The CIGNA SPECTRUM Solution has been refined to fit the unique preferences and needs of expats and local Thai executives in Thailand, following its introduction in several countries worldwide. Mr. Julian Mengual, Chief Executive Officer and Country Manager, Cigna Thailand said, “The launch of our CIGNA SPECTRUM Solution signifies a major contribution from Cigna to respond to the Thai Ministry of Labor policy to raise the standard of health and well-being for expatriates and their families along with local Thai executives. We want to help make Thailand a leading destination for expats, to encourage economic growth in the country. “Cigna Thailand is a market-leader, with its health premiums growing at a double-digit rate compared to the industry average of five percent. For multinational corporations or entrepreneurs, CIGNA SPECTRUM is a worry-free solution that leaves employers and business owners free to focus on their core business. Cigna’s global health care network with round-the-clock access to clinicians and service commitment means we are there to help, when employers and employees need us most. According to the Cigna 360° Well-Being Survey and Globally Mobile Survey, global research programs which looked at the health and well-being of people working in their home countries and overseas, the globally mobile are generally satisfied with their experience of working overseas, higher salaries, and better lifestyles. However, the perception of their personal health and wellness is lower than the local working population. They are anxious about the level of medical care in their host country, and lack of time spent with their families. More than half of globally mobile individuals regard insurance coverage as a very important factor when considering a move overseas. Despite this, a surprising 40 percent of respondents do not have any medical benefits offered by their company, and 15 percent have no insurance coverage at all. This is why Cigna has launched CIGNA SPECTRUM in the Thai market. Cigna Envoy allows customers to make medical claims anywhere and anytime via our mobile application or on the website. Members can find nearby health and medical providers out of Cigna’s over 1 million medical providers, including 122,000 behavioral healthcare professionals, and 14,000 facilities and clinics worldwide. They can have access to Cigna’s International Employee Assistance Program 24/7/365, as well Cigna Care Plus, an online library of disease and symptom management, and the Medical Second Opinion option. Cigna is launching primarily through Cigna’s broker distribution channel with the company working closely with its other partners to expand availability.